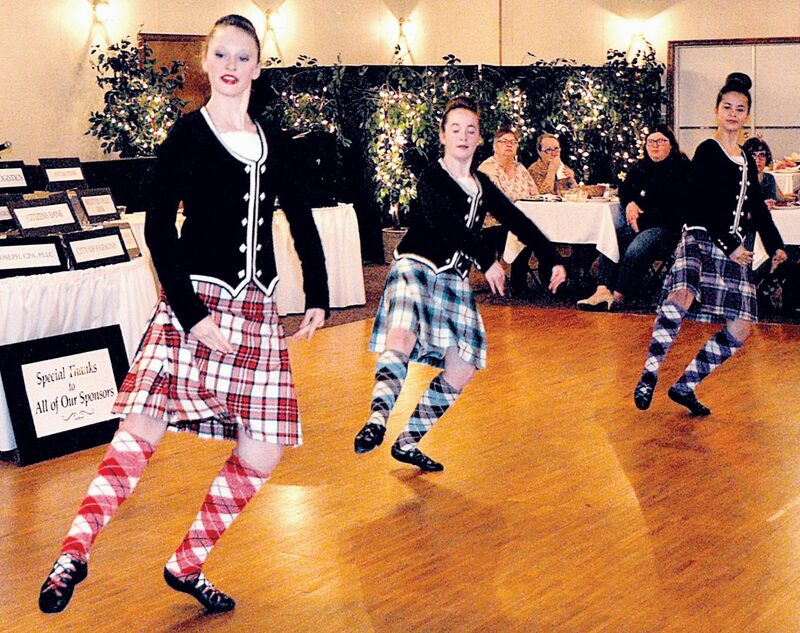 The Inter-Mountain photo by Brad Johnson Entertainment for the Randolph-Tucker Children’s Advocacy Center’s Champions for Children event Saturday was provided by the West Virginia Highland Dancers, who performed several dance routines for the crowd. 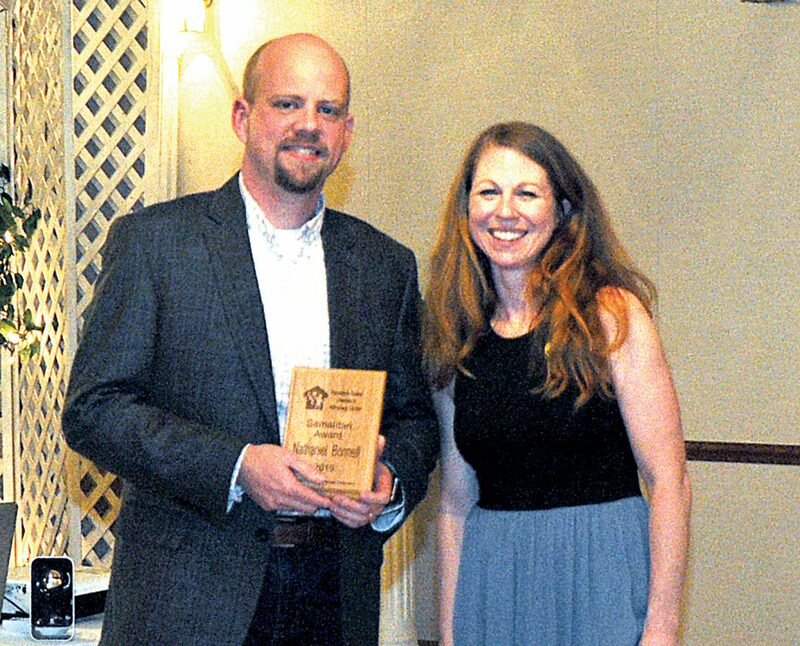 ELKINS — Two individuals and a local business were honored during the eighth annual Randolph-Tucker Children’s Advocacy Center’s Champions for Children event at Orchard Hall in Elkins Saturday evening. “We’re delighted to set aside this time each year to recognize a few of our local champions, people who are doing incredible work right here in Tucker and Randolph counties,” the event’s emcee, Chad Ware, said. The 2019 Champions for Children Professional Award was presented to Ellen Sycafoose-Gilmore, of the IIU (Institutional Investigative Unit), who “worked for Child Protective Services for many years and has dedicated her life to helping children,” Ware said. “Nominees for this category must demonstrate a commitment to prioritizing the protection, advocacy care and success of children while still maintaining integrity,” he noted. “Ellen demonstrates integrity and professionalism. She embodies what a child advocate should be,” Ware said. 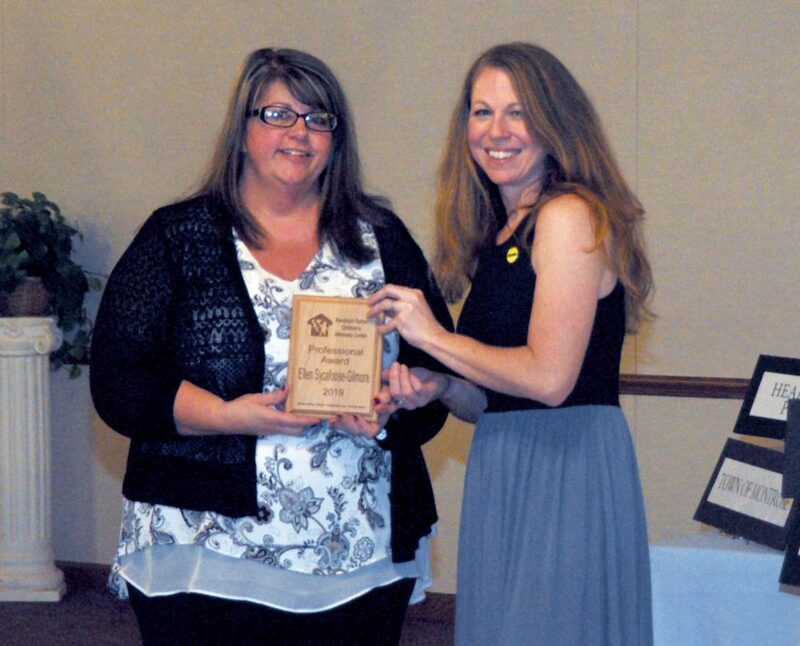 The Inter-Mountain photos by Brad Johnson Nathaniel Bonnell of Citizens Bank of West Virginia was presented the 2019 Champions for Children Samaritan Award by Randolph-Tucker Children’s Advocacy Center Executive Director Margot Evick. 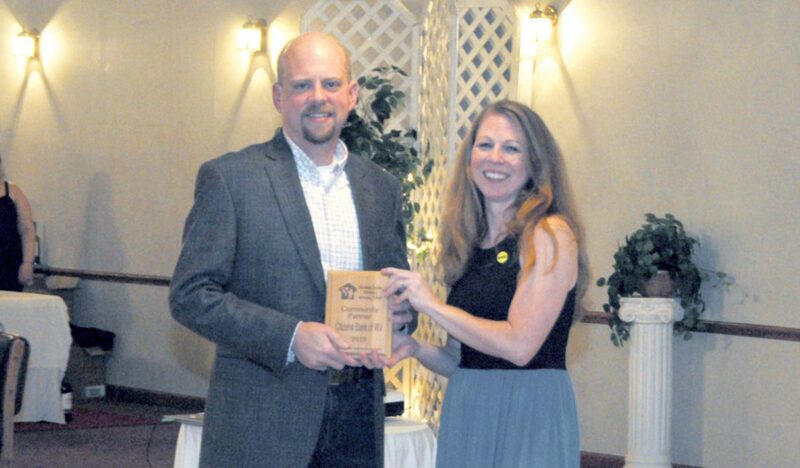 Nathaniel Bonnell, president and CEO of Citizens Bank of West Virginia, was presented the 2019 Champions for Children Samaritan Award The award honors an individual who donates time and resources to the efforts of the CAC. Bonnell served as the CAC board president from 2014-2017. Bonnell was described as a “crucial player” to the CAC’s success by Ware. The 2019 Community Partner Award was presented to Citizens Bank of West Virginia. The award recognizes an “organization or individual that has partnered and collaborated with the CAC, the Department of Health and Human Resources, the prosecutor’s office, law enforcement, education and treatment agencies to assist in the protection of children,” Ware said. The awards were presented to the honorees by RTCAC Executive Director Margot Evick. Ellen Sycafoose-Gilmore is presented the 2019 Champions for Children Professional Award by RTCAC Executive Director Margot Evick. The dinner was prepared by the men and women of St. Patrick’s Church of Coalton. Entertainment for the event was provided by the West Virginia Highland Dancers, who performed several dance routines for the crowd.